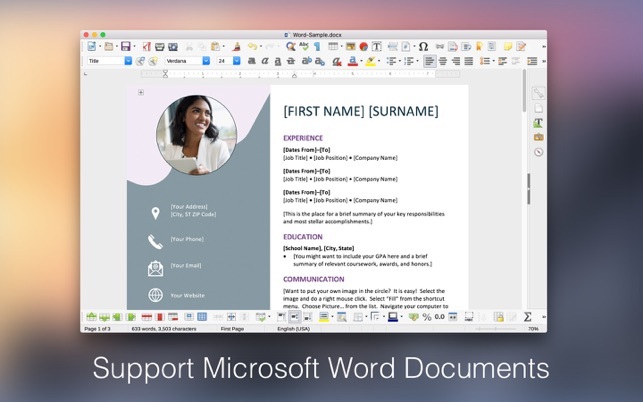 For people who need an all-in-one word processor, I don’t think Doc Writer is for you. I hope they don’t mess it up by trying to make it a tiny version of Word. 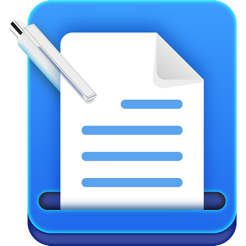 But if you need a simple writing environment that feels way better than Text Edit and better than a number of the other simple word processors that I’ve tried, I would definitely give Doc Writer a try. Just don’t expect it to do everything. This little app the perfect fit for those like myself who are seeking an alterative to Word. I've tried many others including OpenOffice but always run into the same issues that I'm trying to get free from. Though this is called DocWriter, I find it most useful for reading documents. It has the features I actually use, like setting my own default font for plain text. It allows me to save in plain text too without hassle. It has speech capability built-in, auto-save, and the ability to hide/show toolbars, rulers etc. It has a live word count and a spell checker that allows me to add words I use a lot. It allows me to turn off spell-check while typing. 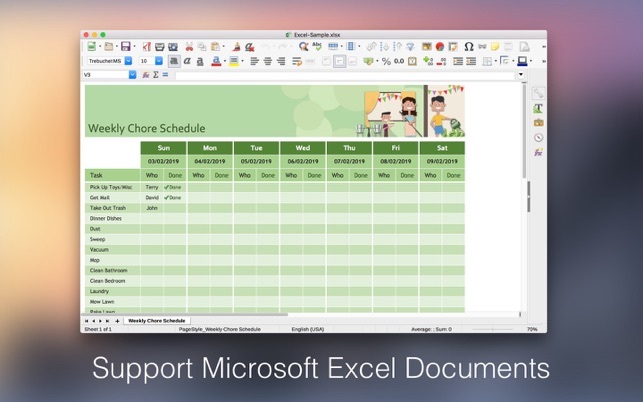 I've been waiting for this app to come along ever since being forced to upgrade to Word 2008 back in OS 10.7. And now, can finally cut the cord to Word altogether. The only issue I've encountered so far is that I believe the keyboard shortcut for "spelling and grammar" (CMD-:) should open the tool itself (the box with the "learn", "ignore", etc buttons) rather than go to the nearest misspelled word. Thank you to the Developer for this great app! Update for v 1.0.5. Well, so much for kudos. As is often the case with updates, this one broke what was the ideal little app. Now most of the documents I try to open with it fail with the message: "DocWriter can't open this type of file 'Any Type'. Very unfortunate. Glad I had a backup of v 1.0.1! The program *does* play well (both import and export) with Word formats, great for when Word goes on the fritz (as it has been doing lately). However, lots of programs do that now. - Although it features list capabilities — one bullet, alpha and number listings — they don’t work. - Underlining, bold and italics features don't work. With underlining, ALL of the content is underlined when a user selects ANY content to be underlined. 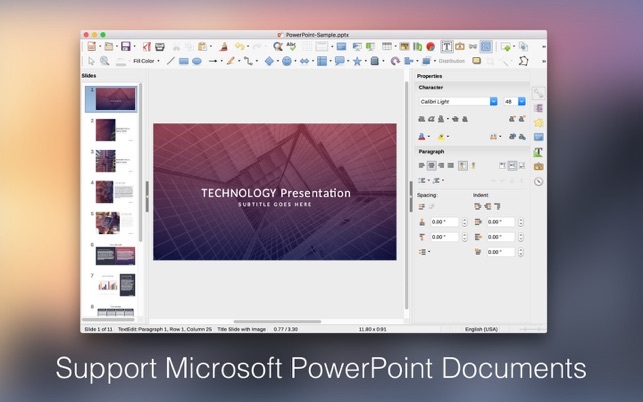 PREVIOUS REVIEW: This is an excellent, low-bandwidth app perfect for folks seeking an editing app that is compatible with but with a smaller footprint than Microsoft Word. Many of the standard features are here: tables, list, spell check, search and replace, and decent editing and formatting tools. It’s well designed, so starting writing projects is easy and intuitive, and saving docs in a range of romats (including .docx) is simple. The interface is spare but attractive. Most of the functions are quickly available on the menu bar or in drop down menus. Copyright © 2019 Ace Office. All rights reserved.